Whether you're a teacher, a PTA parent, librarian, scout leader or someone who works with children we appreciate your dedication to our youth. We are always trying to find new ways to give children an incentive to go the 'extra mile', to help another classmate, to read one more book, to make the Honor Roll, or to provide you with a small reward to give them for any reason at all. To help our youth and those who work with them we invite you to participate in one of our Youth Incentive Programs. Please review the Youth Incentive Programs that the below restaurants have to offer by clicking one below. To participate please click on the logo below. Reading a lot of books or just one! It is SIMPLE, EASY and FREE! Simply fill out the order form and within two weeks, you will recieve the incentives. If you are requesting incentives from NJ or NY, the incentives will be mailed directly to you via UPS. If you are requesting incentives from FL or GA, they will be sent to the Applebees you have chosen on the order form. On behalf of Doherty Enterprises, we would like to say THANK YOU for your daily commitment to our children. 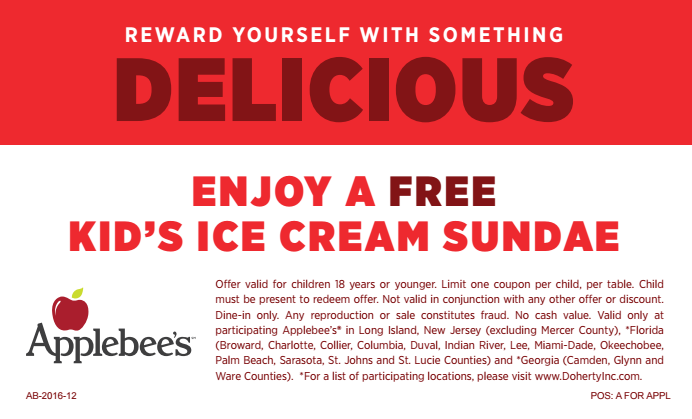 Applebee's certificates are redeemable for a free Kid’s Ice Cream Sundae at locations in Long Island, New Jersey (excluding Mercer County), *Florida (Charlotte, Collier, Columbia, Duval, Indian River, Lee, Nassau, Okeechobee, Palm Beach, Sarasota, St. Johns and St. Lucie Counties) and *Georgia (Camden, Glynn and Ware Counties). It is SIMPLE, EASY and FREE! Simply fill out the order form and within two weeks you will receive the incentive certificates via UPS. Each certificate can be redeemed for one Free Kids Meal (kids 12 & under). Child must be present, dine-in only. 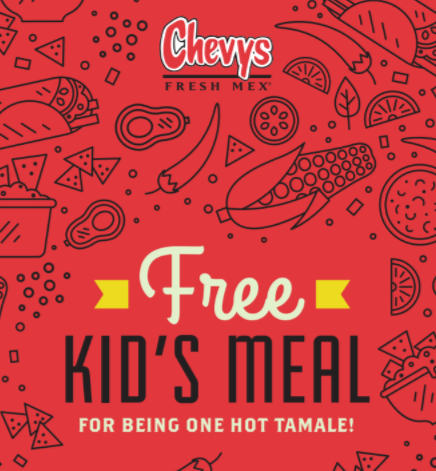 Certificates can be redeemed only at Chevys Fresh Mex locations in Clifton and Linden, NJ. 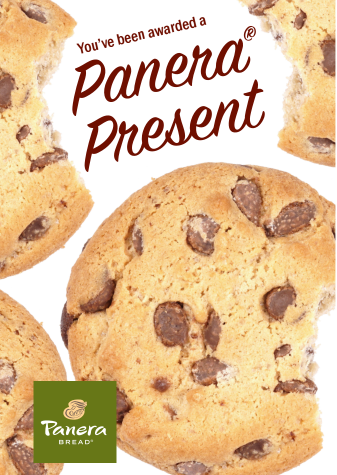 Each "Panera Present" provides the child with a Free Cookie (children 18 & under). Certificates can be redeemed at participating Brooklyn, Queens, Staten Island and Long Island Panera Bread locations. 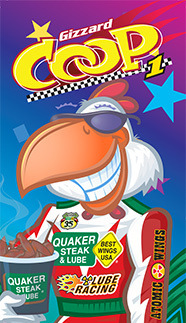 Each "Quaker Steak & Lube Bookmark" provides the child with a Free Kids Meal (children 8 & under). Certificates can be redeemed at participating New Jersey QUaker Steak & Lube Locations in Brick, Edison and Pohatcong Only. Must have teacher/parents signatures, Age 8 and under only. Maybe, you would like to take the children on a field trip to visit of one of our locations and have a behind the scenes tour. We welcome the opportunity to teach your children about our industry and have fun while they do it. Which restaurant would you like to partner with? Which Youth Connection would you like to make? The Shannon Rose is pleased to offer Restaurant Tours.